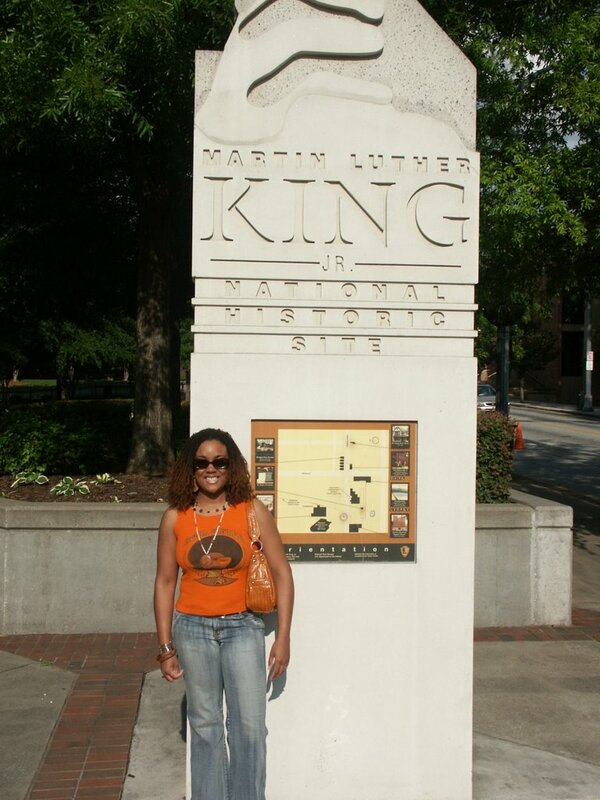 Saturday I decided to hang out at the Sweet Auburn Festival in Atlanta. 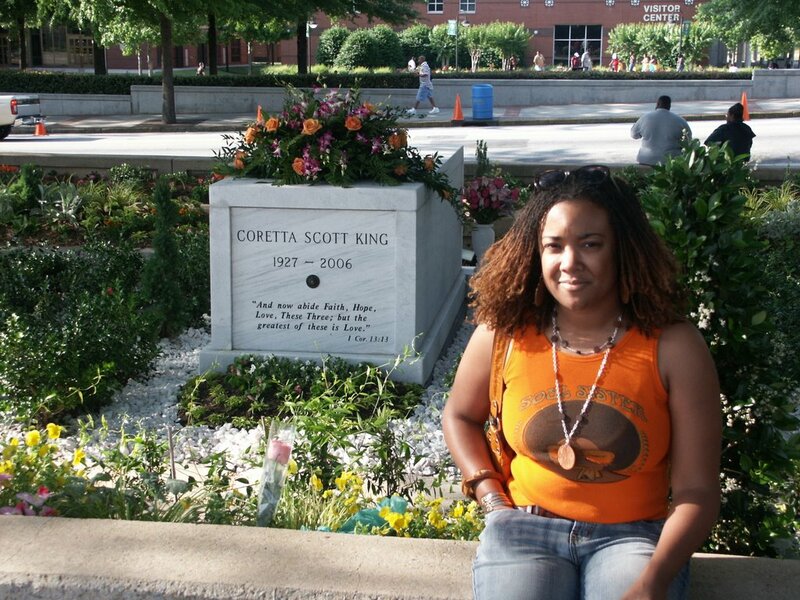 There was no way I was about to walk down Auburn Ave without visiting the site of the late Mrs. Coretta Scott King. I've driven past her site several times since her passing but never stopped to pay tribute. 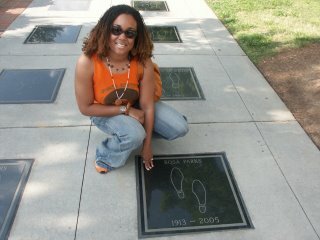 I also stopped by to see the Civil Rights Walk of Fame and saw the footprints of the late Rosa Parks and other great icons. Where would we be right now without these two remarkable women? Would I be allowed to express myself and wear my Sisterlocks? Thank you Mrs. King and Mrs. Parks for making a difference!!! I know the both of you are in Heaven dancing with the Lord...kiss my mommy for me. This is great info how true about freedom of expressions without these great women ther would not of been any! 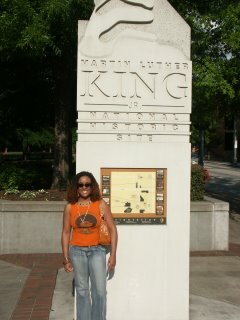 I lived in Atlanta for 10 years now and have only been to the King center once. You've inspired me to actually revisit real soon. Thanks for sharing!